Today’s luxury kitchens are a combination of architectural form and function. At their essence, these kitchens utilize the best design, materials, modern products, and client customization that will stand the test of time. At Bentwood, we gain a full understanding of our client’s vision first and then transform ideas into authentic personal design, so you could say we are ‘Bent on Design’. 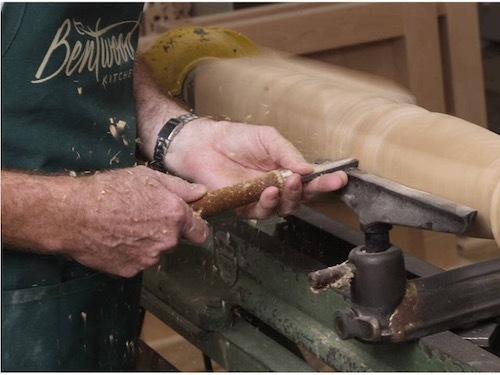 Explore the distinct facets of Bentwood that make us an industry leader in custom cabinetry. With 30 years of passion, knowledge, and growth in our repertoire, we have produced many outstanding projects for our clients. Bentwood is continually raising the bar on fine product and design, one kitchen at a time. Inspiration starts with a behind the scenes look into our projects, favorite industry products, and our talented Bentwood team who makes it all happen. Check back here each week for our latest blog posts. Meet the designers, innovators, and clients behind some of our most celebrated projects. Plus, discover how Bentwood goes from client conversation to new a custom kitchen, bar, master suite, or library that exceeds expectations. With our Personal Design Stories, you’ll hear the story behind a project from our designers and clients in Houston, Chicago, Dallas, and other areas of the country. Read about design challenges including space limitations, busy family kitchens, and open floor plans. And finally, see how those challenges were solved to meet our client’s needs. 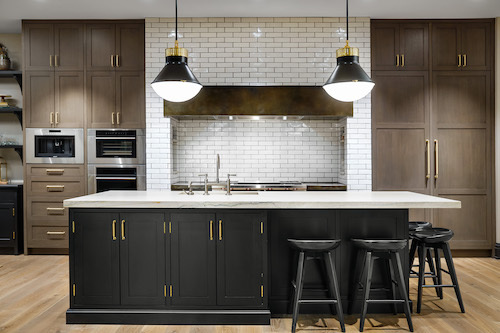 In addition, see how new modern elements took these spaces to a showstopper level – like a daring 10 ft. black painted island with brass hardware. Or a custom hood with integrated lighting to create a dramatic impression when the lights go down. 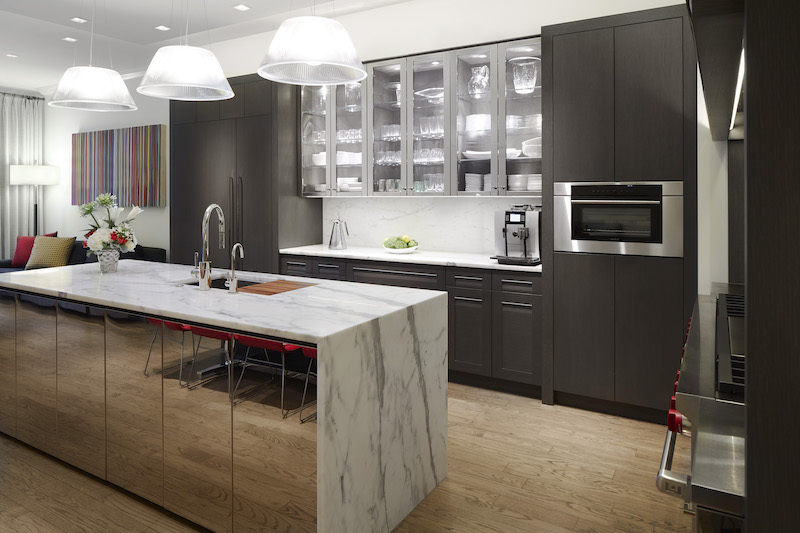 Our kitchen designers at Bentwood craft individualized spaces that stand out above the rest. We hope that sharing our client project stories will serve as inspiration for creating your own personalized space. 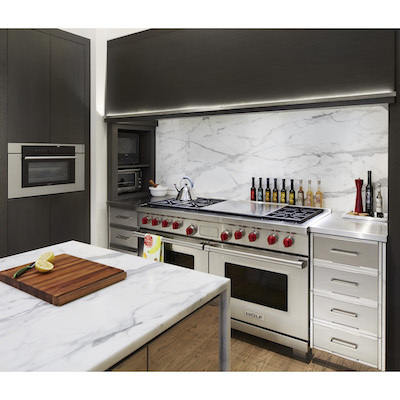 When researching the latest innovations in kitchen products, Bentwood regularly partners with industry leaders who provide the best in quality, style and state-of-the-art technology. Take a closer look at the individual elements of our kitchen designs by exploring our industry partners. See how they are breaking the mold when it comes to functionality and style, here in Chicago, Houston, and Dallas. Innovations in appliances, such as wall ovens and ranges with gourmand settings, turn the most novice cook into a world-class chef. Refrigeration and freezer options meet the needs of modern lifestyle with many configurations. Meanwhile, quartz countertops remain a favorite as a low maintenance winner. In addition, solid wood countertops are resurging again as a beautiful natural element that is easily customized. You can get a taste of what’s in store for your own project through an introduction to our preferred manufacturers with products that are worthy of consideration. Be on the forefront of what is happening behind-the-scenes at Bentwood. Our passion is fueled by our clients, and many repeat customers, who we call friends after doing a project. You’ll see snapshots of the work that goes into our creations at our factory in Lancaster, TX. What’s more, you’ll get opportunities to experience our product in person, (like visiting our 2019 KBIS Booth #C8922 in Las Vegas). We are always looking at what’s new, and what’s next. Discover winning design elements that will linger well after the current design trend. We include details like custom lighting, integrated hardware, and even mindful designs for the ‘Aging in Place’ clientele. Plus, take an introspective look at Bentwood’s history and growth as we celebrate our 30th Anniversary in 2019! From our factory to our showrooms, you’ll get a closer glimpse of our quality, details, and talented team that make up every aspect of our projects. Our clients from the urban heart of Chicago, to coastal vacation homes, to the posh suburban neighborhoods of Houston or Dallas can all attest that Bentwood sets the tone for what’s now, and what’s on the horizon. Best of all, our products are backed with a Limited Lifetime Warranty. We recommend styles and details that are relevant now, and well into the future. The end result is custom cabinetry for any room of your home to enjoy for a lifetime. Click here to set up a personal consultation to explore the possibilities for your home. We’ll connect you with a designer in your area, and start on your vision right away! Personal stories, groundbreaking yet established partners, and a backbone in luxurious yet time-tested functionality. See Bentwood at its core.